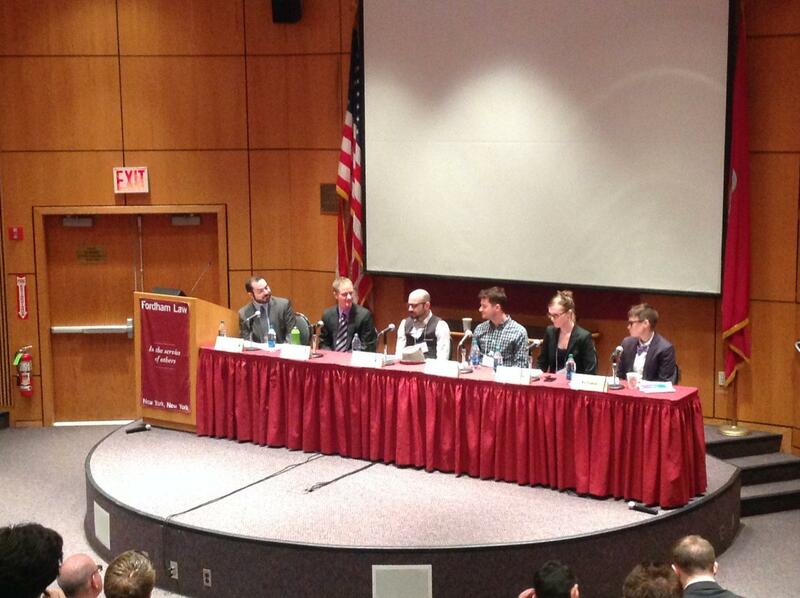 On Thursday, April 10, the Fordham OUTLaws, Fordham’s LGBTQ law student association, hosted its first symposium, “Transgender Law: Current Strategies & Emerging Issues.” Speakers met in the McNally Amphitheatre to discuss how transgender people are discriminated against under the U.S. law. In the first panel, Elana Redfield, staff attorney at the Sylvia Rivera Law Project, focused on discrimination in healthcare. She began by clearing up the “surgery misconception,” noting that only about 20 percent of trans women and five percent of trans men have sexual reassignment surgery – which can cost anywhere between $10,000 and $100,000 and is not covered by most insurance. Redfield also talked about where trans people stand with healthcare law now. Before the Affordable Care Act (ACA), most insurance companies did not cover transgender healthcare. The same is generally true since the ACA passed, Redfield said. However, Section 1557 of the ACA prohibits discrimination on the basis of gender identity. “The impact is yet to be determined,” Redfield said. Certain health procedures for cisgender people are still denied to trans people. Ez Cukor, an attorney for low-income trans individuals in the LGBT Law Project at the New York Legal Assistance Group, spoke about employment discrimination. “Workplace discrimination against trans and gender non-conforming people is an epidemic,” Cukor said. Cukor cited a study which found that nearly almost all survey respondents experienced harassment in the workplace, and almost half faced an adverse job action simply because of their gender identity or expression. Aaron C. Morris, legal director of Immigration Equality, talked about immigration issues facing trans people. “If a trans woman at the border is arrested, the government automatically puts her with men,” he said. Then, according to Morris, that woman is sexually assaulted about 60 percent of the time, which leads to her being put in solitary confinement. “They say they do that not as punishment, but just to keep a person safe,” Morris said. In the second panel, Elizabeth Cooper, associate professor at Fordham University School of Law, proposed the Gender Expression Non-Discrimination Act (GENDA) to combat institutionalized oppression. GENDA would protect trans people in housing, education, employment, healthcare and public accommodations. It would also make violence against trans people a hate crime. Erin Buzuvis, professor at Western New England University School of Law, focused on transgender athletes in sports. She described a spectrum from the least inclusive organizations, such as CrossFit’s prohibition of people based on gender, to the most inclusive organizations, such as leagues that impose no hormone or surgical requirements for participation. Vivian Taylor, a U.S. army veteran and executive director of Integrity USA, a nonprofit that works to advance full inclusion of LGBTQ people in Episcopal dioceses, spoke about trans discrimination in the U.S. military. She emphasized that although Don’t Ask, Don’t Tell (DADT) was repealed, trans individuals are still banned from the military. “The real issue that the end of DADT has created is this widely-held misconception that the end of DADT meant the end of trans exclusion in the military,” Taylor said. This entry was tagged Fordham Observer, Trans Rights. Bookmark the permalink.